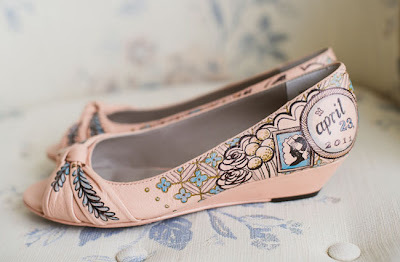 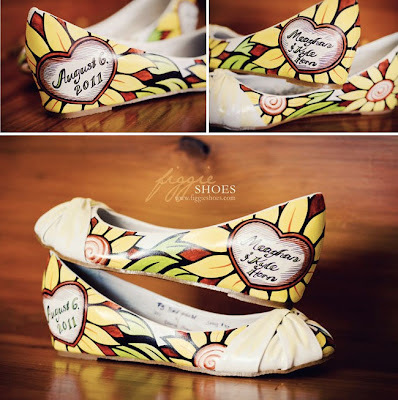 two become one: hand painted shoes! 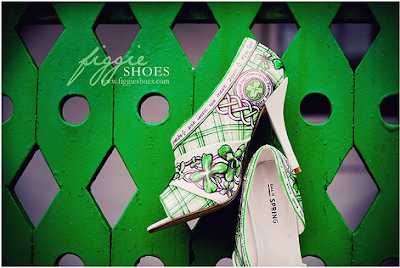 Figgie Shoes - so great! 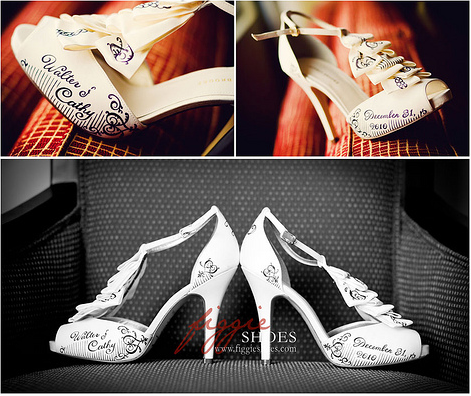 I always find that wedding shoes can really be a bit of a bold and fun part of the brides outfit since most of the time they are hidden under a full length dress! Isn't this the greatest idea: custom designed/painted patterns and pictures on the shoes which can be totally personal and memorable!